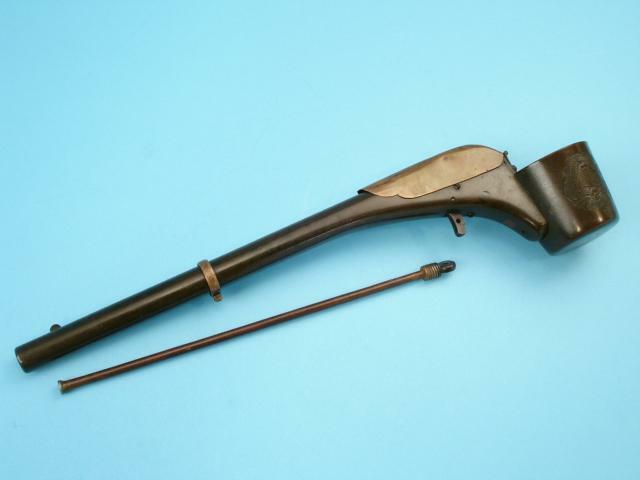 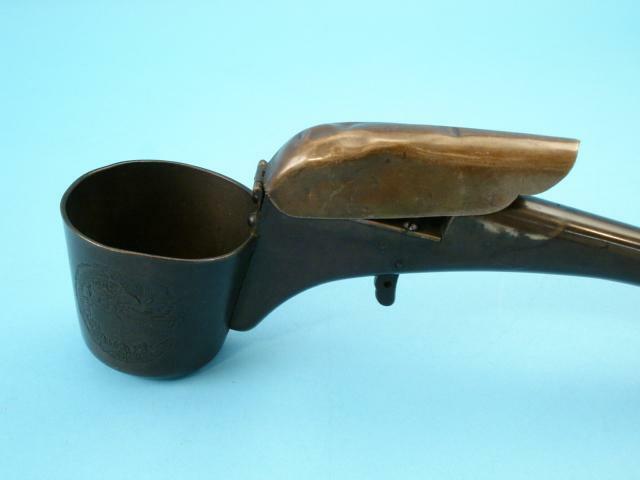 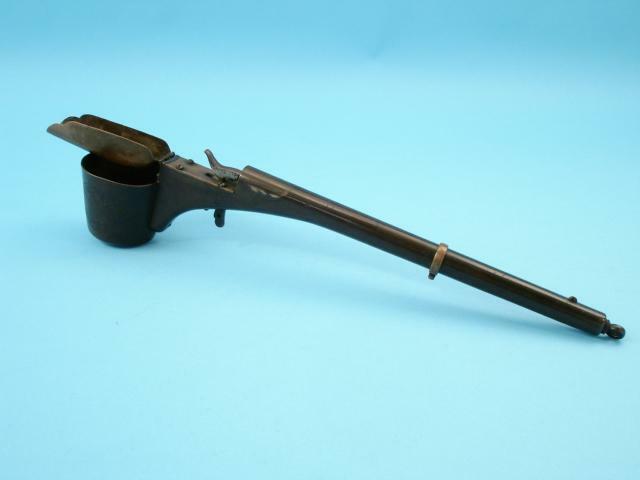 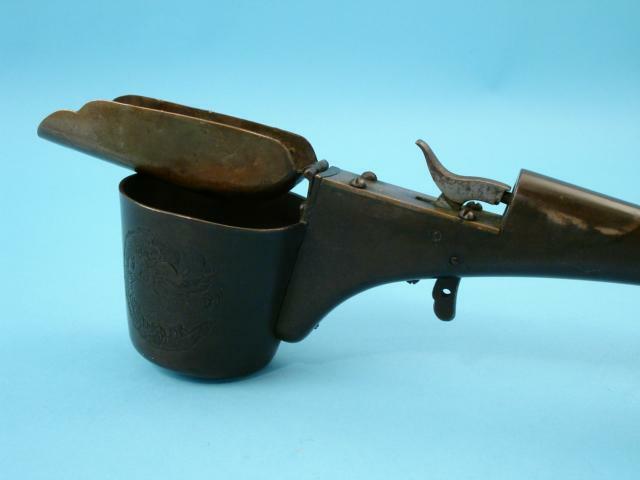 .36 caliber, 9 1/2-inch bronze barrel disguised as handle of ladle. 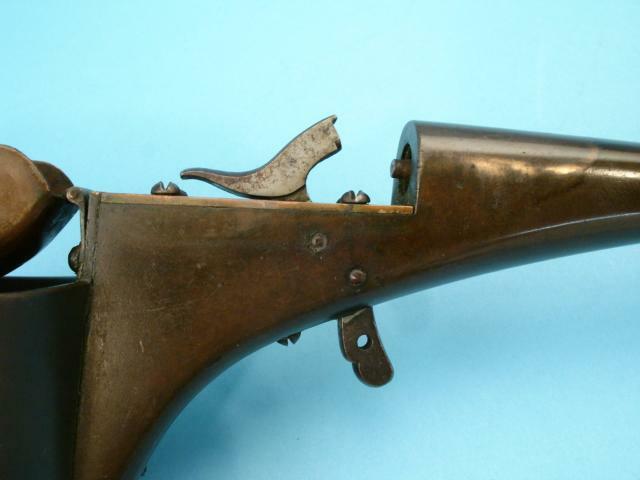 Hinged sheet brass breech and hammer cover designed to disguise mechanism. 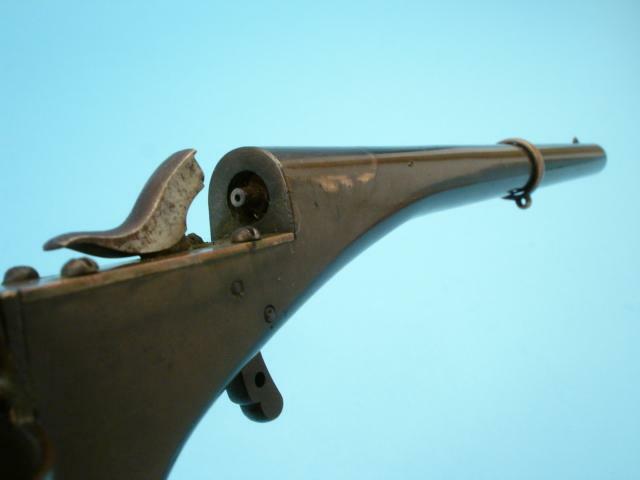 External trigger and ferrule with hole for attaching a firing string. 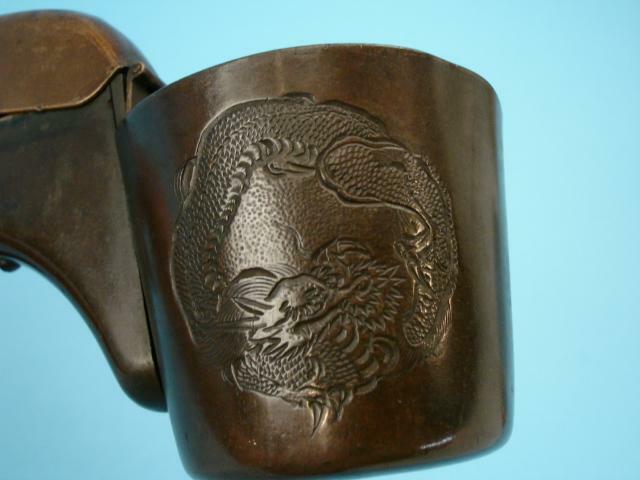 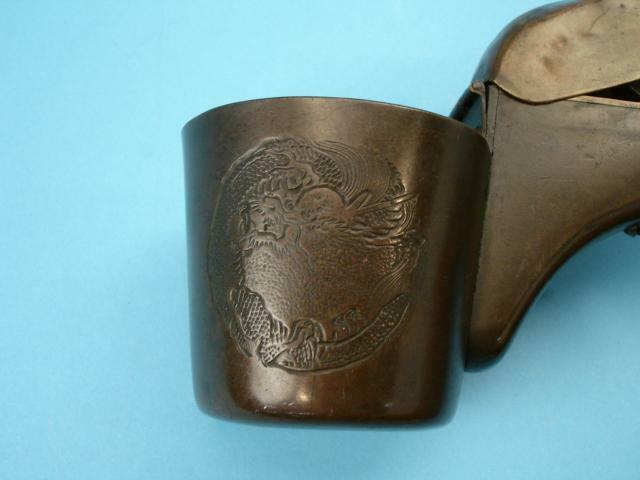 Bronze alloy cup engraved with dragon motifs. 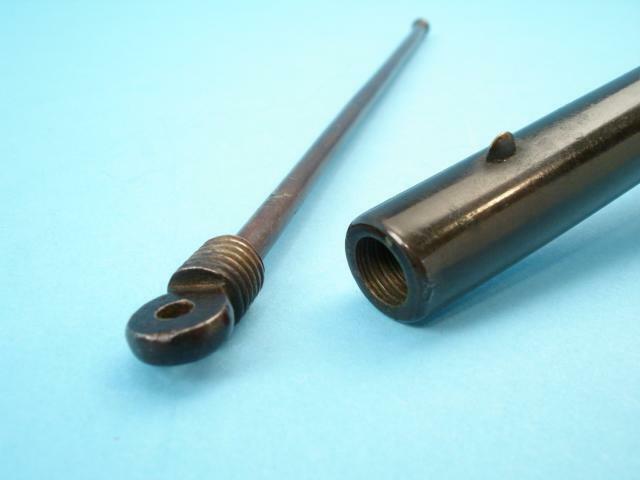 Threaded barrel plug with cleaning rod attached.